Fountainhead MKTG, the experiential marketing agency from the Dentsu Aegis Network, recently conceptualised and executed the first-ever LIVA Accredited Partner Forum (LAPF) Confluence for LIVA, the natural fluid fabric brand from the Aditya Birla Group. Held on May 19-20, 2016 at JW Marriott Sahar Mumbai, the grand evening was attended by more than 500 value chain partners of LIVA consisting of spinners, fabricators and processors who have the capability to offer good quality and innovative products made of Birla Cellulose fibre blends. On the first day, the agency created a Bollywood retro night at the Spinners’ Networking Dinner to keep them entertained and excited for the next day. The entire value chain partners came together under one roof on the second day to celebrate LIVA’s past achievements and to look what’s in store for them in the future. As soon as the guests checked into their rooms, they were presented a token from LIVA in the form of a branded giveaway kit. It was followed by the knowledge sharing session in the afternoon that saw eminent industry speakers enlightening the audience with their understanding and expertise gained over the years. One of the key highlights on the second day was an inspirational speech by a world renowned Chess Grandmaster, Vishwanathan Anand, who spoke on ‘What it takes to be a World Champion’, leaving every member in the audience motivated to keep doing better. Post the afternoon session, as the guests indulged themselves in conversation and awaited the gala evening, the models dressed in amazing Fashion-to-go wear stepped into the pre function area for a glittering fashion walk. An informal curvy ramp was created especially for this particular feat right at the center of the pre-function area. 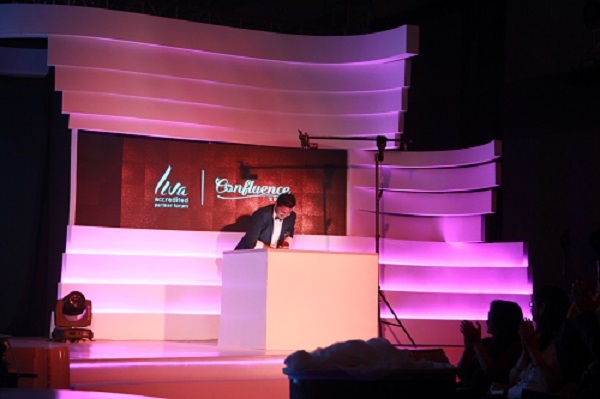 As the fashion show concluded, the doors were open for the guests to be seated in the ballroom for the gala evening. 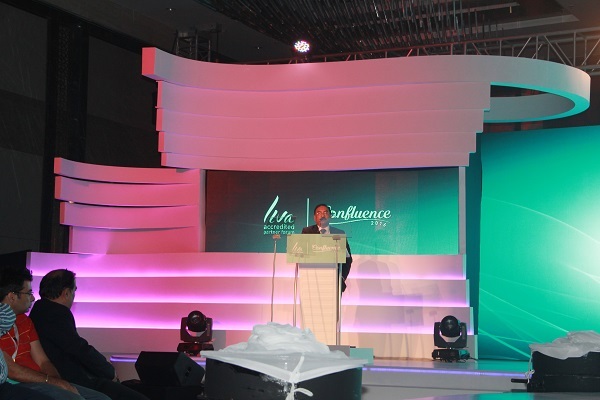 Rajeev Gopal, CMO, Grasim – Liva, addressed the guests with an opening speech and introduced the Journey of LIVA through an AV that encapsulated the brand achievements over the years. The evening then proceeded towards the launch of LAPF Connect website which was initiated through an innovative Sand Art depicting how LIVA and the fabric touches every emotion in human life. This interesting sequence continued with the inauguration by Dilip Gaur, Business Director of Grasim-Liva, who triggered the buzzer to present the launch AV. 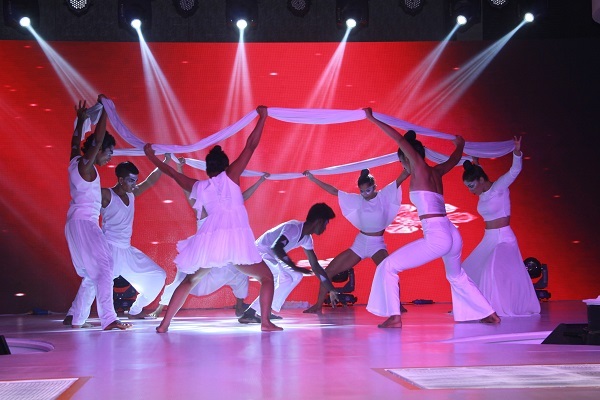 Making an event experience memorable, the dramatic play of lights and high tempo music perfectly synced with a digitally coded AV brought alive the launch of LAPF Connect which was followed by its live demo. The evening came to an end with a completely customised and conceptualized entertainment act that revealed the attributes of LIVA. 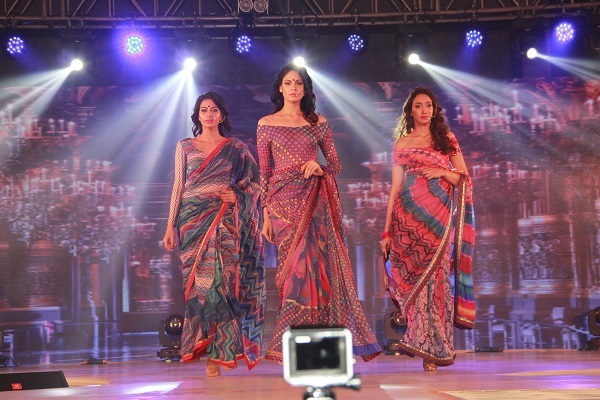 Capturing the fluidity of LIVA fabric, Omaggio Performing Company staged a special fabric dance interspersed with the second segment of the fashion show. 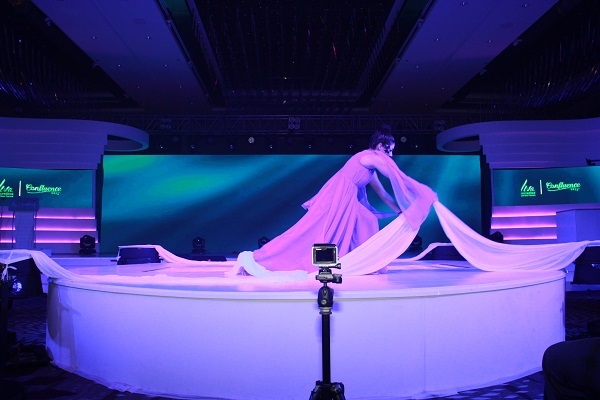 The entire set design was conceptualised keeping in mind the fluidity and flowy aspect of LIVA as a brand, by using varied curvy structures on the stage with vibrant moving graphics on the end-to-end LED that that provided a look and feel of colours, fashion and vibrance. 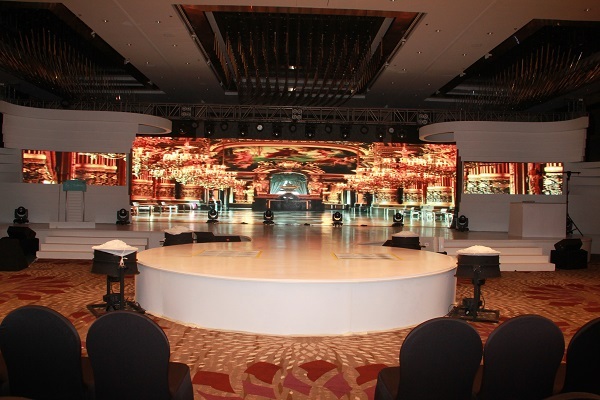 Not only the setup but the entertainment acts were also complimented by beautiful use of fabric. While the first act depicted the LIVA’s journey through a voice over poetry and the portrayed how LIVA is all about Fashion-on-the-go, the final act presented the fluidity attribute of LIVA with a principal dancer playing around with the floating fabric on the specially created circular ramp. Sharing the working experience with Fountainhead MKTG, Rishi Sharma, ‎Head Marketing - Customer Engagement, Digital, IP & Events at ‎Grasim Industries Ltd, Aditya Birla Group, said, "Our association with Fountainhead is long and they have been our partner for all key events and launches. The key reason for this has been their understanding of the brief, ideation & execution which has always been seamless. LAPF 2016 was yet another showcase of seamless, thoughtful & proactive approach with effective crisis management skills by the agency. It has been a delight to work with Fountainhead where we can depend on them without any apprehensions. We appreciate their excellent planning & project management skills." Held on May 19-20, 2016 at JW Marriott Sahar Mumbai, the grand evening was attended by more than 500 value chain partners of LIVA.